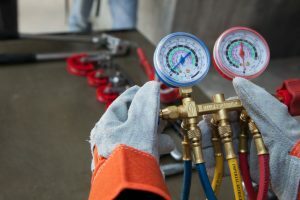 Caldeco Air Conditioning & Heating is the commercial and home AC repair company to trust with all of your HVAC repair, installation and service needs. We have the skill, knowledge and experience to provide Tampa Bay area home and business owners with top-quality AC services at affordable rates, and we’re proud to have served countless area residents throughout our nearly 30 years of dedicated service. We repair, service and install all makes and models, and our team of NATE certified technicians can repair nearly any component of your AC system. From blowers and compressors to exhaust fans, thermostats and more, our team can quickly diagnose system errors and provide any HVAC repair you might need to get your system up and running as quickly as possible. Caldeco Air Conditioning & Heating strongly recommends that our customers sign up for one of our best-in-class maintenance programs. Specifically designed to keep your system operating at peak levels, these programs help prolong the life of your system and help you avoid costly AC repairs down the road. View our current programs now! If you are in the market for a new AC system, we can help. We will help you choose the make and model that works best for your needs and budget, provide you with new system quotes, and expertly install your new system at a time that’s convenient for you. Better still, we can offer financing to all qualifying customers. Apply now! Caldeco Air Conditioning & Heating offers residential customers all of the heating and cooling services they could need to stay comfortable year ‘round. If you are looking for top-quality home AC repair in Tampa, Temple Terrace, Westchase, Brandon, Clearwater or the neighboring areas, contact The Hometown Experts at Caldeco Air Conditioning & Heating today. We are the HVAC repair experts, and we look forward to serving you!